I have recently got my hands on a copy of ‘Washday at the Pa’. This is the 2011 edition of Ans Westra’s photo essay originally taken in 1963 for the school journal. The exhibition is currently on at Suite Gallery and they have republished the photos with text by Mark Amery and additional 1998 photos of the Washday family revisited. Interestingly the Welfare league has now withdrawn its objections. I guess this is a sort of cultural artifiact as well as an artistic one and I like to think (although I am possibly wrong) that we are mature enough now as a nation to see these photos in context. Also I’ve been thinking about women in the arts in NZ and how they had/have such a struggle and often were subject to undue criticism. Watch this space for more on that topic. A few weeks back I drove out on the Otago Peninsula. 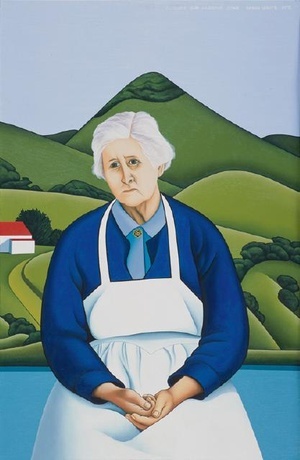 It is a lovely landscape and features in many NZ artworks e.g. I was reminded of another Robyn and her project and “the idea of a travel guide from the 1968 being recontextualised in 2010”. I have really enjoyed Robyn’s posts on her journeys and was lucky enough to find a copy of the 1968 guide for myself for 50c. 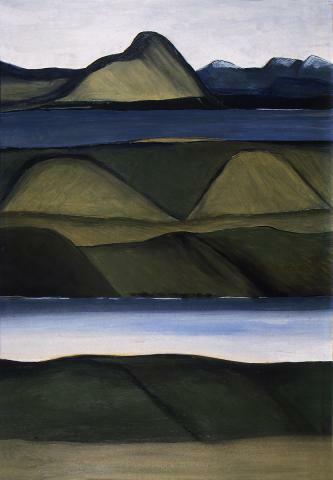 The Otago section starts with a McCahon. I love the idea around using these paintings, although I hope people didn’t take the artists’ interpretation of the landscape too literally.